On April 10, 2017, the Maryland Public Service Commission (PSC) began accepting applications from operators of community solar systems to participate in the first year of the state’s community solar pilot program. Since then, the Maryland PSC has reviewed each application and issued “subscriber organization ID” numbers (essentially a license to operate) to each successful applicant. This certification enables organizations like Groundswell to apply to administer specific projects. Investor-owned utilities in Maryland (e.g., Pepco, BGE, Potomac Edison) then began accepting applications for interconnection, which is the technical process of connecting a solar project to the local electricity grid. Once an applicant’s interconnection agreement has been reviewed and partially executed by the utility, the subscriber organization can apply to operate a specific community solar project. Each utility company has designated a cap, or limit, on the amount of community solar capacity it will accept for the first year of the statewide pilot program. Utilities will accept completed project applications on a first-come, first-served basis until each utility’s program capacity has been met. During the first year of the state’s three-year pilot program, 23 megawatts (MW) of a total allowable 77 megawatts—roughly 30 percent—are reserved for projects with a significant portion of low and moderate income customers. Community solar customers are expected to realize some savings on their electric bills, and all Marylanders will benefit from more clean energy options. For more information on the state’s program, please see the Maryland PSC’s community solar web page here. The marketplace for solar energy remains the most significant obstacle to developing community solar projects in Maryland. Certain states, and Washington DC in particular, have placed a high economic value on the environmental benefits of solar energy, which helps make solar projects of all kinds more financeable. In Maryland, however, the value of these benefits is much lower. I’ll dive into this topic in a future post. 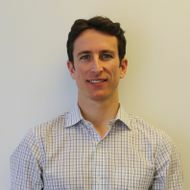 A LEED Accredited Professional with nine years of green building and sustainability consulting in the federal sector, Dave brings a strong technical grounding in clean energy issues and data analysis as he focuses on deepening the impact of Groundswell’s work. Before coming to Groundswell, Dave played a leading role in developing sustainability plans for government agencies and increasing the resilience of federal buildings to the effects of climate change. Dave also served as a Technical Reviewer for a major World Resources Institute (WRI) report on greenhouse gas emissions accounting in the U.S. public sector. Outside of the office, Dave can be found onstage with The Washington Chorus and out on the field in local recreational soccer leagues. Dave grew up in Sturbridge, Massachusetts, and is a proud alum of Middlebury College in Vermont. Solar power has just overtaken gas and wind as the largest source of new power in the county.